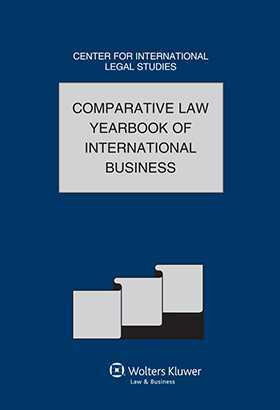 This special issue of the Comparative Law Yearbook of International Business addresses an important development in the globalization of international law practices, the outsourcing legal services. Practitioners from the Czech Republic, Estonia, France, Germany, Gibraltar, India, Indonesia, Italy, Japan, Malaysia, Nigeria, Portugal, Romania, Spain, Switzerland, the United Kingdom, and the United States address a range of issues, including outsourcing legal issues from a law department in a company to a law firm, the monopoly of a country’s law firm for legal advice, sending legal advice to partner law firms abroad, and utilizing foreign providers of basic legal and transactional services (such as services offered in India and The Philippines) for routine legal tasks. Czech Republic Tereza Leonardi and Jan Diblik. France Thomas Kendra and Clea Bigelow-Nuttall. Gibraltar Ian Felice, Richard Buttigieg, Gemma Arias, Francis Muscat, Danielle Vila, Cecilia Bravo, Justine Picardo, and Matthew Torres. India Gerald Manoharan and Soumya Patnaik. Indonesia Haryo Baskoro, Richard Cornwallis,and Tasdikiah Siregar. Portugal Carlos de Sousa e Brito, Gonçalo Meneses, and Rute Ramos. Spain Marla Vanessa Bojorge Zúñiga. Switzerland Christian Wind and Christian Stambach. United Kingdom Alan Meneghetti and Rebecca Chant. United States Vincent R. Johnson and Stephen C. Loomis.